You know that feeling? When you’re so excited you feel the electricity coursing through your hands and your breath gets quick and your heart is pounding in your chest? You’ve searched high and low and you. have. found it. It’s in your hands and it’s so perfect you are almost brought to tears. The unicorn of all curriculum: a real and truly – secular science curriculum! I was given access to this product for free, in exchange for an honest review. All of my opinions here are my own, and I was not required to give a positive review. You can read my disclosure policies here. Listen, you guys, if you’re a fellow secular homeschooler – you know the struggle. You know the digging through the internet to find a truly secular science curriculum that will work. I’m going to be honest here – science has just not always gotten ‘done’ here because I could never find a resource that I was happy with. Particularly for my sixth grader – loads of great science options for the younger kiddos but not a whole lot of really academic and really SECULAR science curriculum out there. I had heard of REAL Science Odyssey before, we had used it off and on when my kids were younger, but for my new-to-middle-school-er I was having a heck of a time finding something that would work. He was a bit old for the RSO Level One, and the only RSO Level Two that was out at the time was Biology (which looks fantastic but it wasn’t in his interest yet). I had been catching wind of a Level Two RSO Astronomy course coming this summer, and knowing it was written by the amazing Blair Lee I knew it was going to be a solid secular science curriculum. I was watching their site and keeping an eye on the SEA Homeschooler Facebook group. And then it happened. It showed up in my email – a newsletter with all the details for the release of REAL Science Odyssey Astronomy Level 2. I dang near fell OUT of my chair and yelled to my son – “It’s cominggggg!! !” Granted, he thought I’d lost my mind, but he came out to see what was up and together we looked at the samples online. We were both 100% sold and we knew this would be our Term One science. Let me take a second here before I dig in to the details and review of Astronomy 2 to remind you of something that Pandia Press offer that, to me, puts them a couple paces ahead of most other publishers. Pandia Press is a publishing company, committed to creating high quality secular curriculum for homeschooling families. Their focus is on being secular and making sure that their curricula are rich and academically challenging. I love Pandia Press, I am not even going to try to hide it, but what they offer to families in the form of their “Try Before You Buy” samples – is priceless. I can’t even count how many times I have looked at a page or two of samples online, thought the product was up to snuff, only to receive and be totally disappointed. If you’re anything like me (and most other home educating families) you don’t have the time OR money to be throwing at products that won’t work for your family. Pandia offers a HUGE chunk of each curriculum as a sample for families to literally “try it before you buy it”. They want happy customers, and they want you to be satisfied – so they give whole units worth of sampling so that you can be sure of what you’re getting. CLICK HERE to check out the Try Before You Buy for Pandia Press’ Astronomy Level 2. You can try both the student workbook AND the teacher guide! When I was asked to review Pandia Press’ RSO Astronomy 2, I knew this would be it. I knew that with Blair Lee’s commitment to truly secular and academic science curricula, this would be exactly what my student wanted – and I was NOT disappointed. Astronomy 2 comes with two components – the Teacher Guide and Student Workbook. You can buy these separately or together, but I can imagine it would be much more difficult to help facilitate this course for my son without the Teacher Guide! *Scheduling options for 2, 3, or 5 day schedules. These schedule breakdowns are amazing! For a non-scientist home educator like myself, it really helps me when things are broken down for me this way. *Explanations of the math in any given chapter as well as ways the lesson connects with other subjects. *ALL of the readings/lesson/activities are in ONE book. *Clear explanations written to the student, in a fun engaging manner – but NOT speaking ‘down’ to the student. 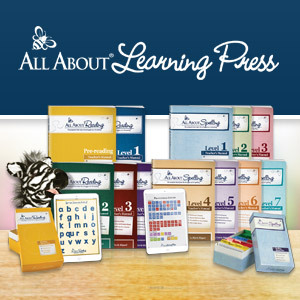 *A wide variety of activities and tasks – hands on, question/answer, creating models, and more. This is NOT just a rote “read the lesson, fill in the blank” curriculum. You know, I really can’t stress this enough. All of the science materials that are being created by Blair Lee and published by Pandia Press are top notch. In Astronomy 2, your children will read a lesson about the topic, followed by a hands-on lab activity (useful activities, NOT busywork!). They will learn about famous scientists, and have an opportunity to show what they know. The teacher/parent does NOT have to be a scientist to figure this out (insert collective sigh of thanks right here, am i right?) The content in RSO’s Astronomy 2 is rich, well written, engaging, and rigorous. And that was all I needed to hear to know that we’ve indeed found the unicorn of all curriculum – a real academic, real secular science curriculum. Head over to the Pandia Press website – through the month of September, they are having a site-wide sale: 25% off all their products. No code necessary, the discounts are taken off automatically. If you’re interested in checking out the new Astronomy 2 (or any other Pandia Press resource) – September is the best time to go for it! Well done review. I am so glad you found a product that works for you. Thanks for the awesome inside peek! I love reading these before buying! Thank you for your review! Did you use the curriculum for the year or was your son able to complete it in one semester? How many days per week did you have Astronomy on your schedule?